Yesterday I made a cake from scratch for the first time ever. I've never been a very good cook and the limited amount of baking I've done has always been with mixes, so this was kind of a big deal. Both of my sisters are really good cooks and I'm getting tired of being the one who brings canned food and grocery store desserts to family get-togethers. 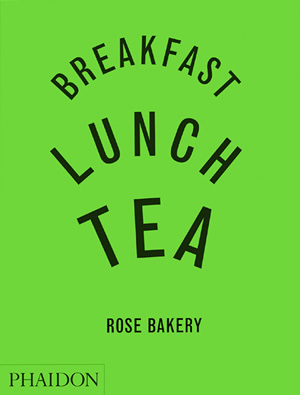 The recipe for this cake is from the book Breakfast, Lunch, Tea: The Many Little Meals of the Rose Bakery. I found it on Amazon and ordered a copy for my sister for Chanukah, and when it arrived I liked it so much I bought myself a copy, too. If you are interested in making it but don't want to buy the book, there is a similar recipe on a blog called Little Loaves. 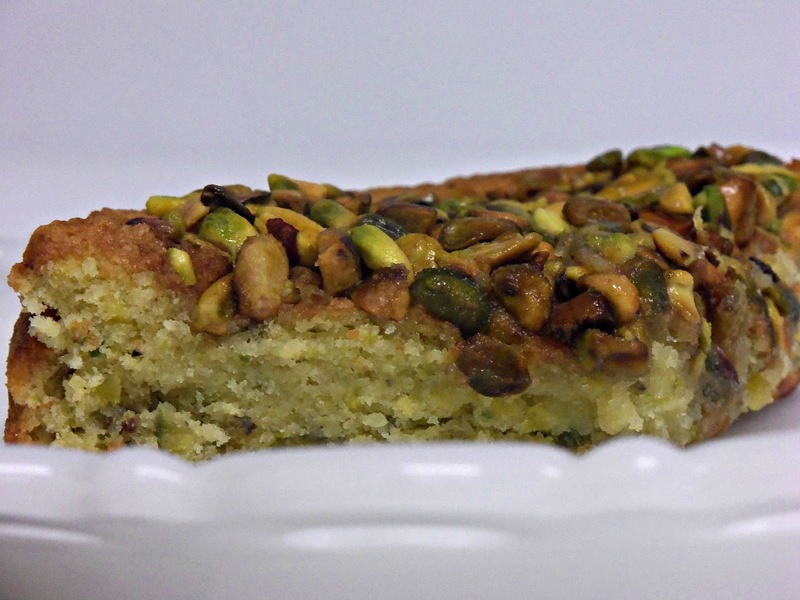 I selected this recipe because I am a total pistachio fiend. It was challenging and fun to make. The recipe called for ground pistachios, so I bought hulled, raw ones at Whole Foods and "ground" them with a hammer since I don't have a food processor (yet). I also had to beat the batter by hand because I don't have a mixer (yet). I also zested and juiced a lemon for the first time (easy-peasy because I bought a zester). The cake was delicious. I added extra sugar to the topping because I thought it was too lemony, but I wouldn't do that again. Other than that, it was tasty and satisfying along with a cup of after-dinner coffee. Pistachios are a weakness of mine and I always have a jar in the kitchen so I can grab a handful, shell and eat during the day. The cake looks beautiul Stacy and I bet it was wonderful to eat. OH YUM! Thanks for making me hungry this morning:) Have a blessed day, HUGS! What did you do? I have come to study information is very good. Thank you for sharing.